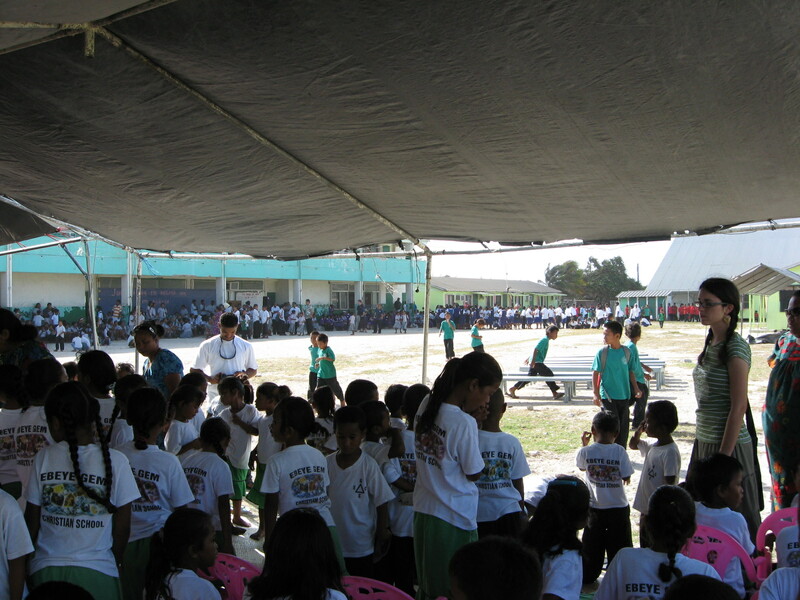 We celebrated Educational Week last week on Ebeye. All the schools from the island got together and listened to about three speakers talk in Marshallese about Education bringing Sustainable Development to the island. I wish I could have understood it. Maybe next year they will begin to speak with interpreters. I would like to know where the leaders of this association are coming from intellectually and what ideas they want to bring forth. 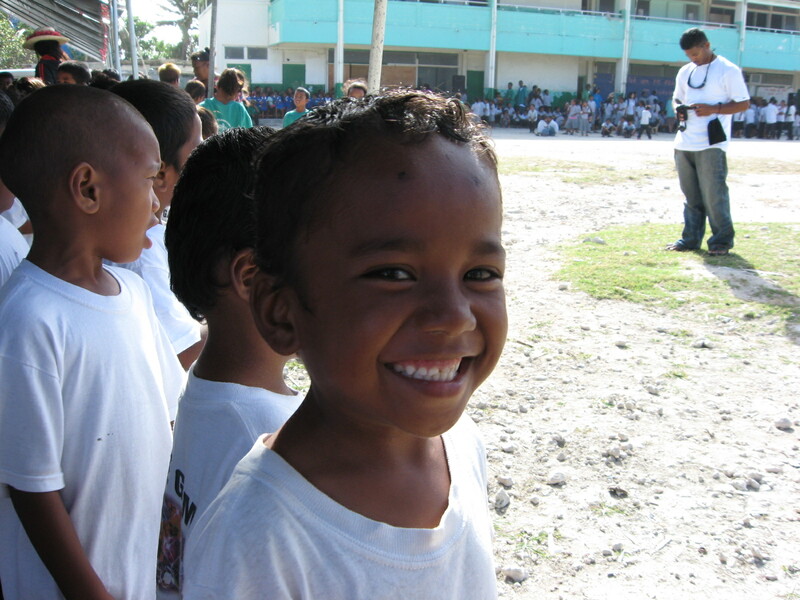 All of us gathered inside the Ebeye Public School property singing songs and magnifying God. I like the openness and freedom here to serve the Lord. Everyone gathering for the beginning ceremonies. Half-way through the event, one of the speakers complimented Ebeye Gem students for sitting still and being quiet. We are so proud of our kids. And thank God for His Holy Spirit that is upon their lives. He is the reason for their peace. Next Next post: Who won the Spelling Bee, you ask?